Calabash is kind of gourd that has a very broad use across Sub-Saharah Africa. In the absence of metal and plastic utensils and it is used instead of cups, water vessels, vessels for storage of rice. 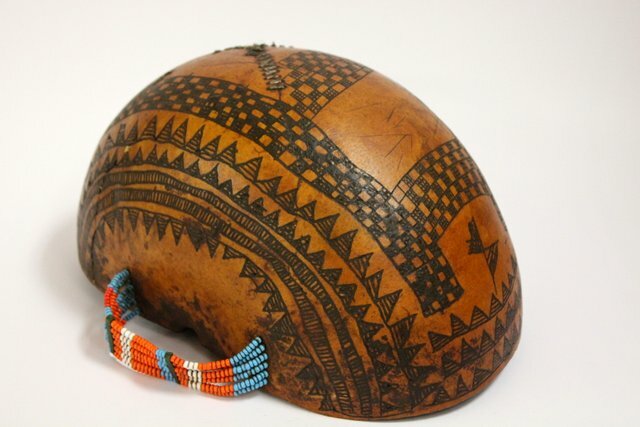 However, only in the Omo River Valley of Southern Ethiopia, I saw a calabash used as a durable and lightweight headwear protecting against the rain and the sun. It has an original geometric pattern cut with a knife, a side handle made from ropes decorated with beads, and cracks formed during the long time of use were carefully mended with coarse thread of animal tendons. 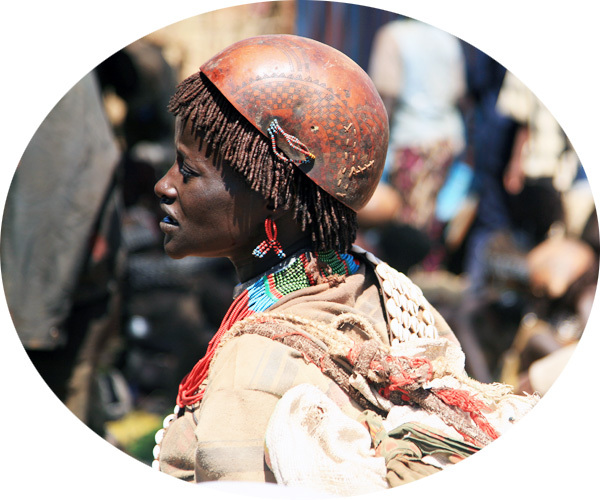 The photo shows a woman of the Cushitic people of Tsamay, but the neighboring peoples: the Hamar, the Banna and others also carry calabashes on the head.